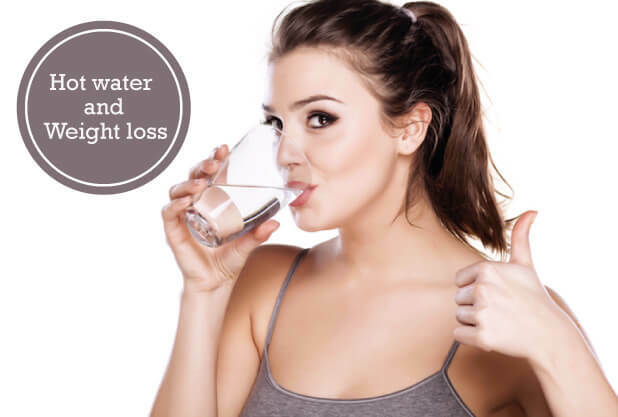 We have time and again discussed the benefits of water consumption in your weight loss journey and this article aims at taking your weight loss plan to an altogether new level by introducing to the benefits of drinking hot water for weight loss. The truth – Does drinking Hot Water lead to Weight Loss? Drinking hot water boosts your metabolism  and helps you lose weight in a healthy manner. Basically, hot water helps break down the fat molecules in your diet faster, which leads to weight loss. Here, the water should not be too hot that it burns your mouth but it should be warm maintaining the optimum temperature that can be tolerated by your body. When you are just starting to incorporate hot water into your diet, it does not come easy. It dries up your mouth and you may feel irritable while consuming that glass of hot water. But with consistent consumption, you will find your taste buds and throat get accustomed to it. Is It True That Drinking Hot Water For Weight Loss Works? To an extent, yes! If you religiously follow the Hot Water Diet, which is very much like the warm water diet wherein you have to drink a cup of warm water in the morning and another cup of warm water before the meal, it helps you fasten your weight loss journey. As discussed above in the article, hot water breaks down the fat molecules in the body leading to weight loss . In addition to aiding weight loss, it also helps treat dry skin and cures constipation too. The Hot Water Diet is where you drink half a cup of hot water right after waking up and another cup of hot water before consuming a meal. You have to ensure that the temperature of the water does not exceed 50-degree Celsius. You must ensure before drinking the hot water that the temperature of the water is not too much, lest it should burn your mouth. Also, the temperature of the water should not be less wherein it does not have the desired effect. Hot water for weight loss accelerates your weight loss plan helping the other factors you have incorporated into your weight loss journey, to work more effectively. As we have already discussed, the ideal Hot Water Diet requires you to consume a glass of hot water (which has a temperature of around 50-degree Celsius) right after you wake up. Following this, go ahead with the given tips and see the difference for yourself. Spend at least ten minutes in drinking that hot water for best results. In addition to drinking hot water for weight loss after waking up, drinking hot water before and after taking a bath is said to be effective in weight loss. Also, a glass of hot water before your bath can help lower your blood pressure level. It also warms up your body from the inside, which causes circulatory system dilation occurring on the surface of the skin . AND the most important tip for you during Hot Water for Weight Loss plan is to avoid all kinds of junk and fattening foods & drinks which negate the effect of the hot water. Avoid sugars, too many carbs and calories and take your Hot Water for Weight Loss plan towards success. Other than weight loss, the hot water offers other health benefits also. It keeps our blood pressure maintained. It keeps our skin away from dryness and cures constipation. It also improves your blood circulation which makes it easier for the body to flush out the unwanted toxins and other harmful wastes from the body. Consuming hot water also improves digestion. Boosts metabolism by increasing the core body temperature. When you drink a glass of hot water right after you leave the bed in the morning, it helps your body to recover from the loss of fluids your body would have gone through while sleeping. It also warms up your body and starts the blood circulation in your entire body, which ultimately helps in the detoxification of your body. Now, while there are some absolutely amazing benefits of drinking hot water for weight loss, there is no denying the fact there may be some cons too to the plan. There are certainly a few areas where you have to be careful while drinking hot water. It is important to finish drinking the hot water while it is hot failing which, the hot water does not have the desired effect on the body. So in a maximum of 10 minutes, you should have finished drinking the hot water. It does not mean that you gulp down the hot water and burn your mouth and other organs. That also negates the purpose. Do not drink too many glasses of hot water. Keep a target of maximum 5 cups during the entire day. 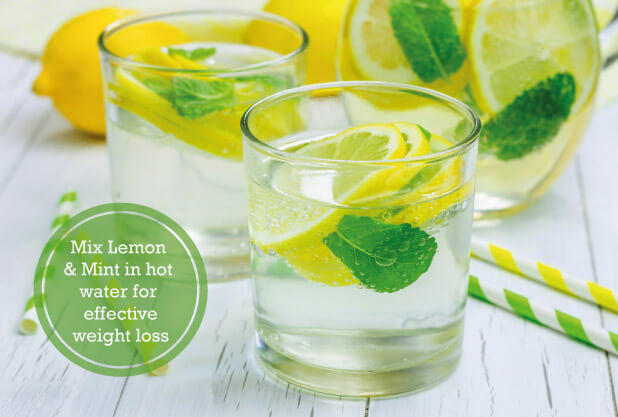 Adding lemon to your hot water early in the morning adds up to the effectiveness of the plan and helps you lose weight faster. Other than lemon, you could also add sliced cucumber, mint leaves or grated ginger. Just add them to a glass of water in the night itself so that the juices get infused into the water. Heat up the infused water in the morning and drink it for better results. Q. Does hot water burn belly fat? A. Yes, hot water burns belly fat if taken at the appropriate temperature, at the right time, and in the right quantity. Q. Is drinking hot water beneficial for the skin? A. Yes, drinking hot water is beneficial for your skin. It keeps the skin hydrated. Q. How many glasses of hot water for weight loss should you drink every day? A. You should drink at least 3 and maximum 5 glasses of hot water for weight loss every day. So this was Truweight’s take on drinking hot water for weight loss. We explained to you the ways to drink hot water for weight loss, tips to be followed along with the benefits of drinking hot water for weight loss. If you have any other useful and interesting information about hot water for weight loss, please send it to us in the comment section below. For other effective methods of weight loss, please talk to our expert Nutritionist today. The first consultation is on us! Click here to avail it.